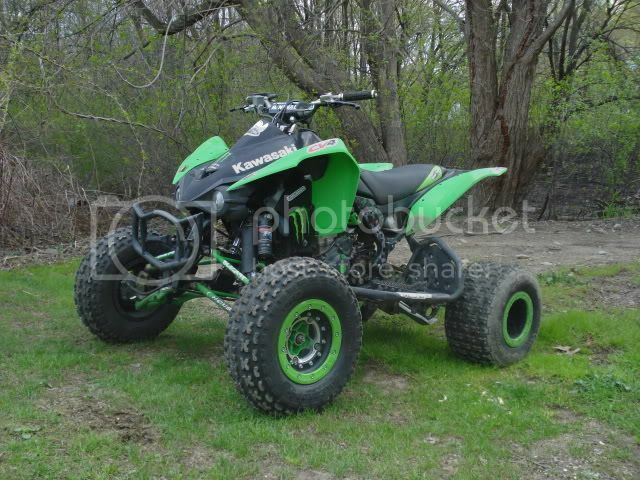 Kawasaki KFX450 Forum - KFX450Central > Vendors > MaxPower Engines > Hello KFX 450 members!! We are glad to be here! For those of you who have not heard about Max Power-RPM&#39;s let me introduce ourselves. Max Power does a wide variety of engine performance packages from stock displacement national engines to the biggest, baddest big displacement set ups around. We have a 507 stroker package for the KFX you may have seen in ATV Action Magazine. We are offering this kit to KFX members for $2,000 installed, through the end of the January. If you have any questions, let me know. I&#39;ll do what I can to help you out. One more thing. There is a link to our KFX 450 page. You can check out magazine reviews and other tech data on our kits. Time for a new 450R! wow 2g's i gotta do some ot!!!! !that could be a future mod!